It’s July 14th, which means that millions of people in France and around the world will be celebrating Bastille Day, commemorating the anniversary of the storming of the Bastille on July 14, 1789. The fall of the fortress-prison, the symbol of Louis XVI’s absolute power, was the flashpoint of the French Revolution. Much like America’s Independence Day or Canada Day for our friends in the Great White North, Bastille Day is a festive day of fireworks, parades, and of course plenty of toasts to France’s first steps towards democracy and the birth of the Republic. 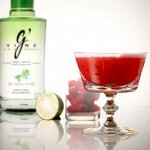 One of the spirits fueling the patriotic imbibing is G’Vine Gin, distilled in France’s Cognac region. 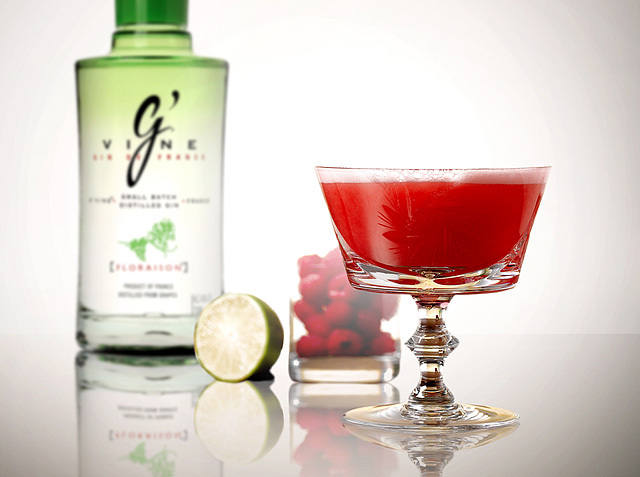 Unlike most gins, which are derived from neutral grain spirit, G’Vine is distilled from Ugni Blanc grapes. The grape-based distillate is infused with vine flower and re-distilled with botanicals such as juniper berries, ginger root, licorice, cassia bark, green cardamom, coriander, cubeb berries, nutmeg and lime. To celebrate Bastille Day, G’Vine is offering a tribute to the protesters who stormed the barricades of the Bastille: the Barricade Cocktail, created by Philip Duff (Liquid Solutions), the globetrotting cocktail guru, gin expert, and co-founder of Amsterdam’s door 74. The Barricade was created by Duff exclusively for G’Vine when he was in Cognac recently for the G’Vine Gin Connoisseurs Program. Crush the raspberries in an empty shaker. Add the gin, lime juice, sugar syrup, raspberry liqueur and vinegar.